The corners are blind. An oncoming car, bus, or bicyclist could await on the other side. Please don’t be a bus. The lane is narrow. The SUV I’m in takes up almost all of it. There is barely any shoulder, and sometimes a guardrail sits right on the lane line and threatens to add an unintentional racing stripe to the passenger’s side. 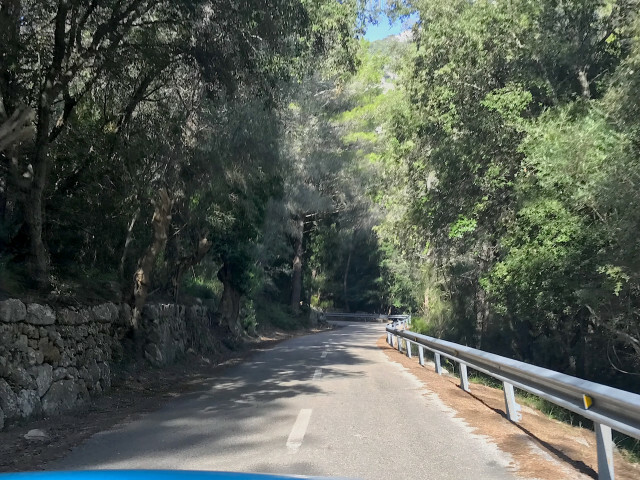 And yet these tight switchbacks in the mountains of Mallorca, Spain, beg for hard driving in the moments when I can see all is clear ahead. While these roads are best traveled on a motorcycle, if it’s going to be an SUV, I’m glad I’m in the nimblest of them all: the revised 2019 Porsche Macan S.
With Citroen Jumpys to the left of me and drop-offs to the right, it’s best to be in a vehicle that I can place with precision and will respond to my inputs with immediacy. 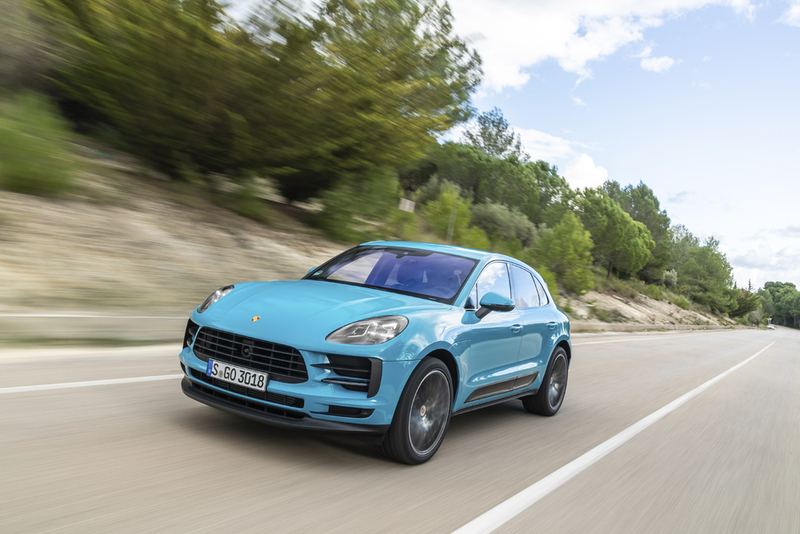 Porsche knew its compact crossover was dynamically gifted since it debuted for the 2015 model year, so the changes for 2019 honed and toned the brand’s best-seller rather than starting from scratch on a new platform. Good call. 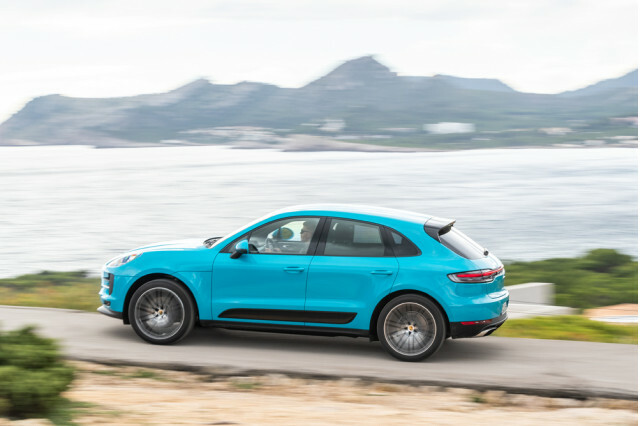 The 2019 Macan is based on the first generation of VW Group’s MLB platform, which it shares with the last-generation Audi Q5, though 70 percent of its parts are unique. The Q5 has since moved forward, but the Porsche doesn’t need to. 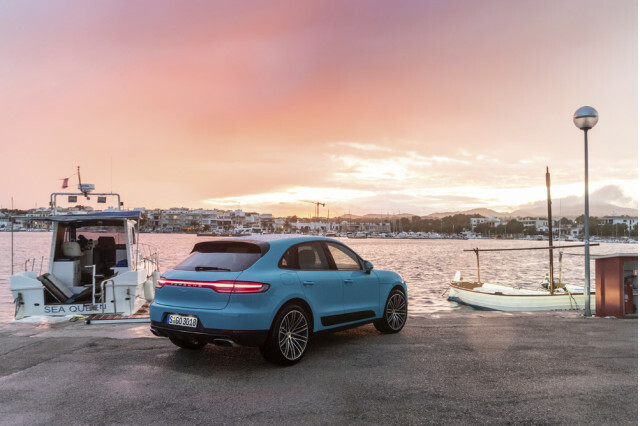 Porsche’s 2019 update nips and tucks the exterior, adds connectivity and comfort to the interior, revises the engines for better emissions, and tweaks the already sporty driving experience without changing it significantly. Porsche replaced the lower forks that connect the springs to the dampers on its double wishbone front suspension with aluminum components instead of steel. The change cut 3.3 pounds of unsprung mass, and Porsche says it improved both ride quality and steering response. Like the last model, the new Macan offers staggered tire sizes with wheel sizes ranging from 18 to 21 inches. Porsche widened the front wheels by a half inch for the 19- and 21-inch sizes, which provides more lateral stiffness for the tire sidewalls and also improves steering response. Porsche engineers also revised the anti-roll bars, the air suspension spring rates, and the damping rates. They chose new tires, and installed new engine mounts to reduce the pendulum effect of engine movement. 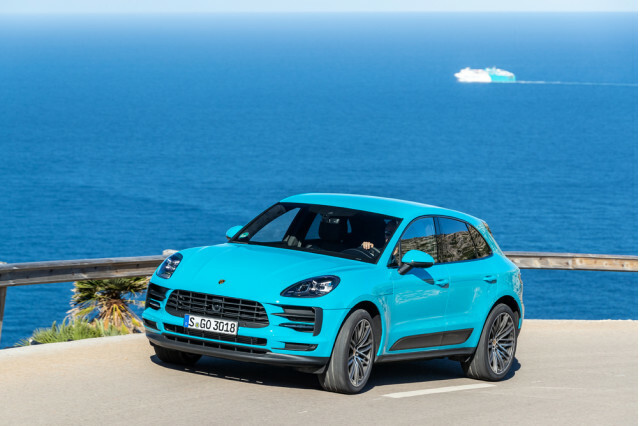 The Macan S models Porsche has provided for this drive are outfitted with all the goodies: air springs with adaptive dampers, torque vectoring rear differential, 21-inch wheels, Sport Chrono package, GT Sports steering wheel, and adaptive sport seats, to name my favorites. 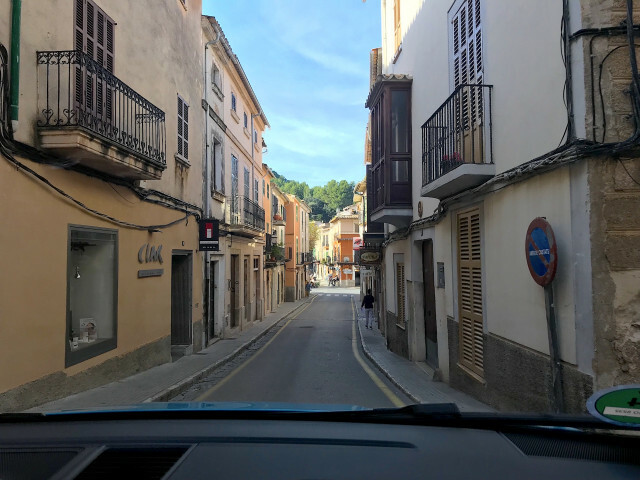 The original paths for some of these roads could date back to Roman times or at least the Middle Ages, and they were likely sized for oxcarts. I can’t stretch the Macan S to anything close to its limits when a distracted tourist may roll into my lane around the next bend, but I can have some fun within my lane.